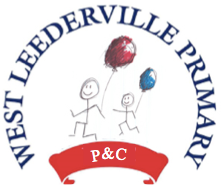 West Leederville Primary School enjoys a strong parent and community involvement, which is facilitated through an active and productive group of parents representing the WLPS Parents and Citizens Association (P&C). We welcome new members – it’s never too early or to late in your child’s time at WLPS to get involved! Our activities can be summarised in the following three short sections however more detailed information is available by clicking on the links, looking through the WLPS P&C website or by chatting to any of the P&C members. Your P&C pays for equipment and programs that otherwise would not be covered in the school’s budget. This includes significant funds for the purchase of playground equipment, special educational programs (mathletics/reading eggs) and many other resources. As parents, the P&C members recognise that these additional programs and resources enhance your child’s early learning outcomes and will contribute to their academic and social accomplishments – both in the short and long term. We have subcommittees that take care of the Canteen, Uniform Shop, School Grounds, Fundraising and Events. We also coordinate the Class Representatives and have representatives on the school board, WACSSO and School Ambassador. From covering library books, small paint jobs around the school, setting up tents on Sports Day, feeding the kids, through to throwing Fetes – we are it! Your WLPS P&C hosts events to both fundraise and to contribute to our local community. These include Quiz Nights, Student Disco’s, WLPS Fete, Movie Nights and class parent get togethers to name but a few. We are incredibly lucky to have such a close-knit local community with the Primary School as both its heart & soul. The P&C will often lobby on behalf of the school on issues that have significant outcomes for the local community such as parent parking/Kiss n’ Drive, offsite kindergarten facilities and the Cambridge Street pedestrian crossing. All parents, guardians and members of the community are welcome to attend P&C meetings. The meetings are held on Weeks 3 & 8 of each Term in the WLPS Library, commencing at 7.30pm.